Siri, Siri, Siri! It’s probably the most frequently used new word in tech right now, and the system-spanning voice control feature is rightly being lauded as the cream of the company’s latest mobile operating system, iOS 5. Now, we feature a lot of the best and most interesting jailbreak tweaks here at Redmond Pie, although taking into consideration the current buzz surrounding Siri, this latest featured tweak certainly provides the perfect compliment to your virtual companion. Currently, activation of Siri requires quite extensive fondling of the home button, but with this latest tweak which goes by the name “Hands-Free Control”, simply by uttering the word "Siri", you’ll have the power to control your device – without even having to touch it. No longer do you have to ring Siri’s virtual door bell, you can authoritively command Siri to activate using your voice before dishing out your orders – bringing true system wide voice activation. Even when your device is in sleep mode, Siri will remain nocturnally ready to help you send messages, make calendar entries or find restaurants. Paired with the advances made by @tmm1, it seems that, with a little help from the hackers and developers, Siri could become the most important feature of iPhones (and potentially smartphones) from now on in. Apple’s untouched interpretation of Siri is exciting, but one suspects that it will be the jailbreak community that really gets the best out of the iPhone’s own Cortana. Although the iPhone 4S is the only official Siri-enabled device (and we obviously cant use this tweak on iPhone 4S until a jailbreak for it is available), the tweak will activate Voice Controls to those using the iPhone 4, iPhone 3GS or the 3rd or 4th gen iPod touch whenever the complete port of Siri is available for the said devices. 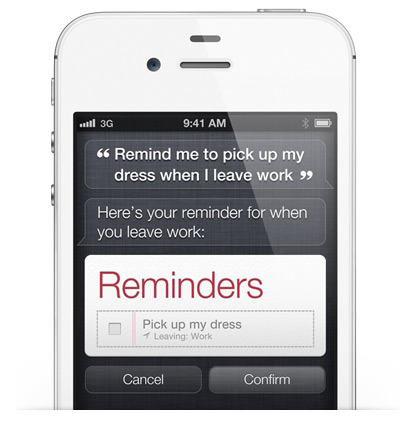 Optionally, you can follow our guide posted here on how to install Siri on the latter devices apart from the iPhone 4S. 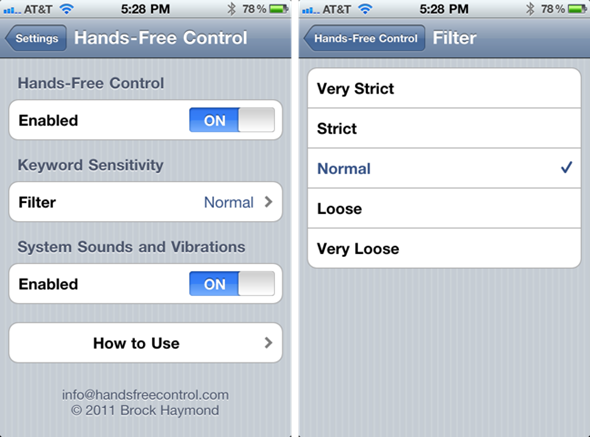 There is, as usual, no SpringBoard icon – all settings are configured in the Settings.app under Hands-Free Control. Cost? Well, at $1.99, we think it’s an absolute steal. It is currently available via the BigBoss repo, which will be in your default Cydia source list. In order to use this wonderful tweak, you will need a jailbroken iOS device. For jailbreaking iOS 5 tethered using Redsn0w, you can follow our complete step by step guide posted here, or here if you want to use Sn0wbreeze on Windows. Since jailbreak on iOS 5 is currently limited to tethered boot only, you can install ‘SemiTether’ patch (instructions here) from Cydia to make your jailbreak semi-tethered on iOS 5. For those of you on iOS 5.0.1 can follow our instructions posted here for semi-tethered jailbreak using Redsn0w and SemiTether.